As robotics become more normal in day to day life, it is not unusual to see the technology being used in toys robot toys for kids. Robotic toys are a great way to introduce them to the world of robotics and coding in a fun way. There are loads to choose from with many making the converted toy of the year finalist shortlist. What is the toy of the year awards? The Toy of the Year Awards (TOTY) is run by the Toy Association. Founded back in 1916, they have become the toy industry’s leading voice on the developmental benefits of play and the positive impact it has on childhood while being global leaders in toy safety. While there are quite a few toy awards, the TOTY awards are nominated from within the industry and judged by retail buyers, journalists, bloggers, trade media spokespersons, academics, and inventors/designers. What makes an award-winning toy? There is a lot that goes into making an award-winning toy. First and foremost, all of the toys must adhere to all current US safety standards. Other than that toys must engage children and ideally have multiple ways to play. A good toy should also be great to look at, colorful and attractive to a child. Finally, it should also challenge a child, try to make them think and solve problems, teaching them critical thinking without them realizing it so it is an enjoyable experience. This year saw many robotic toy finalists due to their STEM learning qualities. If you are looking for an excellent gift for a child, then there are some fantastic choices here that mix learning with play. Kids will enjoy using them without even realizing they are learning essential life skills. Sneaky huh? 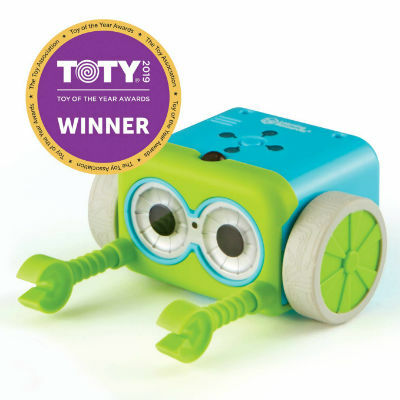 Botley the coding robot was the winner in the Innovative Toy of the Year category and is a beautiful introduction into coding for kids aged 5 and up. Ready to use right out of the box (except for the 5AAA batteries required) he will have kids coding in minutes. The 77-piece activity set comes with a remote programmer, detachable robot arms, 40 coding cards, 6 double-sided tiles, 27 obstacle building pieces and a starter guide with coding challenges which combine to create 120 different coding steps for your kids to discover. This cute little robot will introduce your child to early STEM skills while playing and having fun, teaching kids to code with active, a screen-free play that’s perfect for promoting critical thinking and problem-solving skills. Another toy that encourages learning through play, the Avengers Hero Inventor Kit includes everything that kids need to create their own superhero gauntlet. 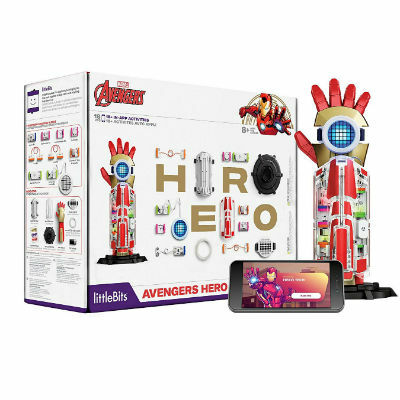 The place to start is with the bundled app where a variety of Marvel favorites guide kids through the fundamentals of using the Avengers Hero Inventor Kit. Once the fundamentals have been covered, kids are free to get creative and build their customized device complete with authentic Marvel sound effects. In the process, kids will be introduced to circuits and electrical engineering, block-based coding fundamentals such as loops and variables without even realizing they are learning. A great toy aimed at kids 8 and up, although looking at the reviews, some younger kids have also enjoyed it, but be sure to supervise as there are small pieces. And while I’m mentioning the reviews, just take a look at how happy the customers are, you will be the real hero of the story! MiBro is a fun little remote control robot from Really Rad Robots, part of Moose Toys. This expressive little guy can be used to communicate, spy and even serve. Kids will love the fun and friendly graphics and the ability to prank their friends by sneaking up and communicating via the remote. Talk into it and MiBro will transmit your message. Other accessories included with MiBro include a tray, turning him into a remote control butler as well as a fun ball and goal, to play games against buddies and a foam finger. The MiBro Really Rad robot offers terrific value as a fun gift for kids 5 years and up. This Kids First Coding & Robotics set introduces early STEM learning and a great introduction to the fundamentals of coding and robotics aimed at kids between the ages of 4 – 8 and a Parents’ Choice Gold Award Winner in the 2019 Toy of the Year awards. Follow the step-by-step instructions to build a variety of models, each with a series of model-building and coding challenges and lessons related to it: a mouse moves through a maze to find cheese, a soccer player moves a ball into the goal, a fire truck puts out fires, and more. Once the model is complete, then kids can get to the coding. Each of the supplied cards (over 200 of them!) contain a different instruction or code. Each one includes a tiny pattern that the robot reads as it passes over them, by laying them in sequence, kids are creating their own code to tell the robot what to do. What’s beautiful is there is no phone, tablet or app required, it’s teaching the fundamentals of coding, without using a screen. Once the robot has stored the code, it can be placed on the grid made of the include map cards and the program will be executed. As kids get older and more advanced, there is also a math mode that introduces further concepts such as number comparisons, addition, variables, and algorithms for hands-on math explorations. It is a toy that will grow and develop with your child. While the Toy of the Year finalist Learning Resources Gears! Gears! Gears! Machines in Motions isn’t technically a robot, I thought I should include it as it is a pretty impressive set and after all, robots need cogs and gears. Aimed at kids between 4 to 8, this 116 Piece STEM Activity Set is an excellent introduction to the world of engineering, perfect for boys and girls that love making things other than a mess. Using the included instructions, kids can build their own versions of many interactive machines and vehicles including individual parts such as a wrecking ball, chains, pulleys, and wheels. Alternatively, they can go off script and create their own mechanical wonders. Designed to be usable with other Gears! Sets, this can be an expansion toy or just a starter set. It will encourage critical thinking and kids will love seeing their brightly colored constructions come to life. It’s worth noting that some parents have pointed out the instructions may be a little harder for kids at the younger end of the spectrum to understand, so expect a certain level of parental involvement required. 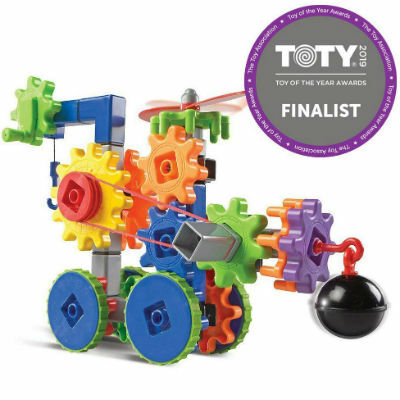 Want to see more winners from the TOTY Awards, be sure to check out the winners page on Amazon for the full list of finalists, there are some amazing toys and gifts for kids of all ages.